FRS 1Clic by FRS Iberia S.L.U. 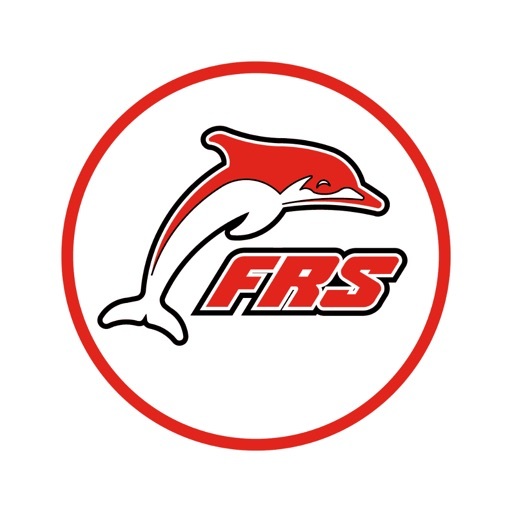 With FRS 1clic you can book your ferry in less than a minute, just with your mobile number, and you can pay later. Booking your ferry ticket to cross the Strait has never been so easy or quick! 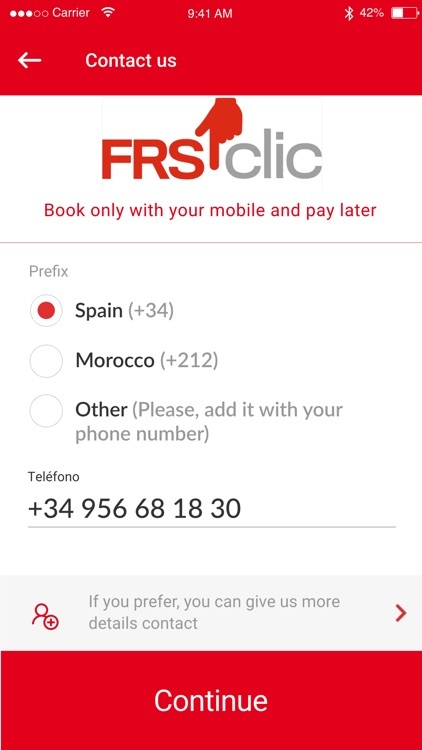 With FRS 1clic choose the date and destination of your trip, enter you mobile phone number and confirm your booking. 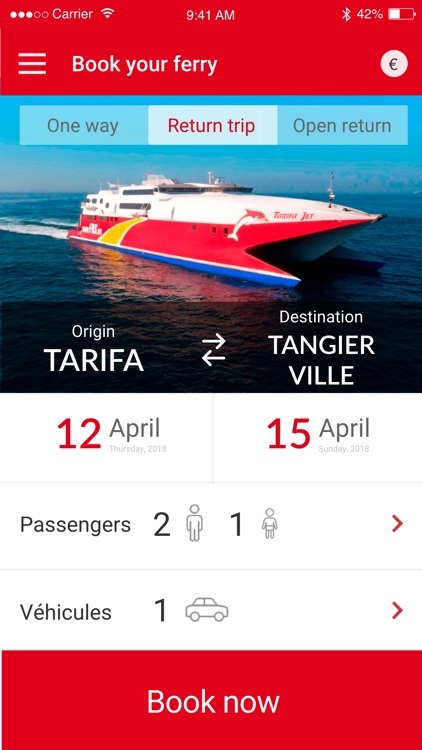 FRS 1clic is the first App that allows you to pay for your ferry booking in Euros or Dirhams, and with either currency you can pay later. 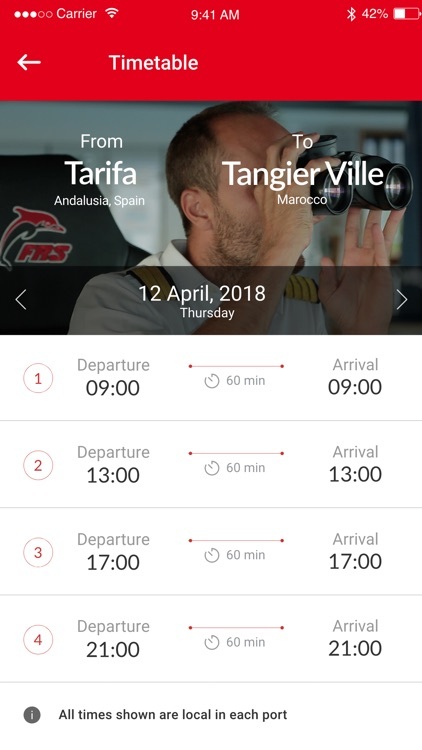 At FRS 1clic you have all the information about your journey at your disposal, including boarding times and documents needed to take a ferry to Morocco or Spain. 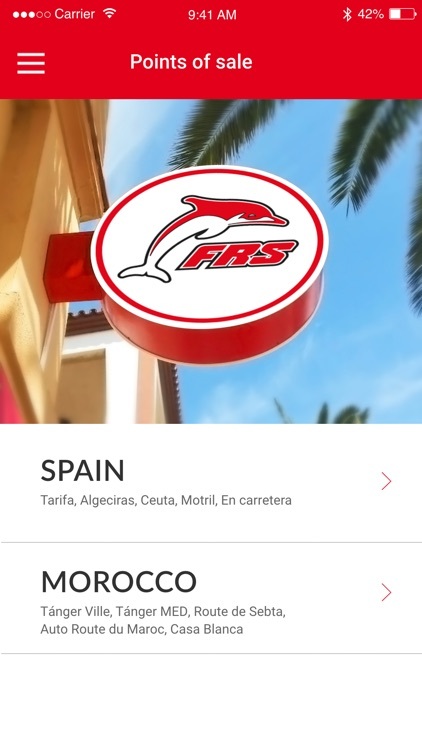 With FRS 1clic you can find the location of all our Points of Sale in Spain and Morocco. Much easier to find us if you’re travelling! 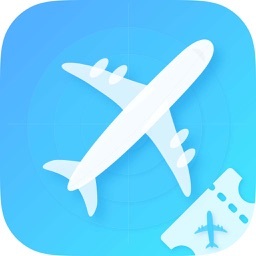 Through this section, which you can find in the App menu, you can access your booking history. 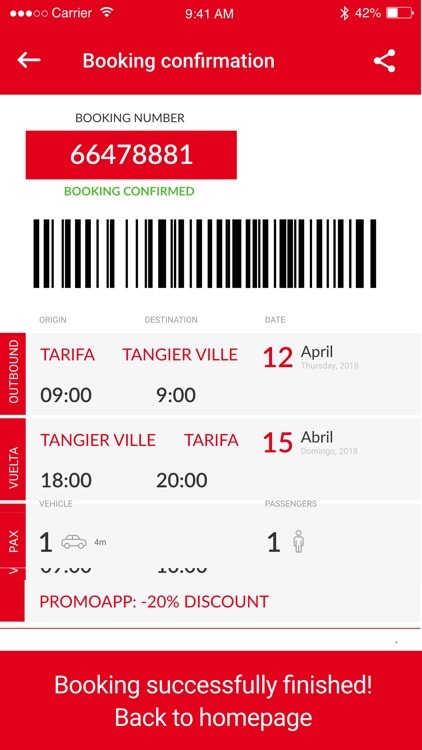 When it’s time to check-in and board, you must show your booking confirmation at the Port’s box offices. 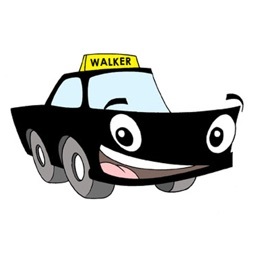 If you are booking for a family member or friend, you can always send them the booking details through WhatsApp, email, etc. 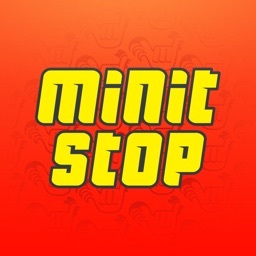 Find all our contact details at the Contact section of the App: phone numbers, Point of Sale and email addresses. You will also find a link to our social networks there. 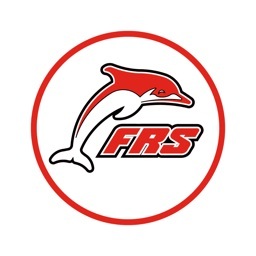 FRS 1clic is available in three languages: Spanish, French and English. 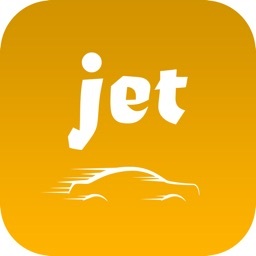 You can manage your currency and language preferences in the Configuration section of the App menu.